It was a page-turner. I couldn’t put the book down. I had to read it to the end. The characters in the book were so real. I felt like I really knew them! That book was not quite what I expected. I thought it would be more emotional and less scientific. I didn’t think that this book would be good; however, it exceeded my expectations. This is an award-winning book. It won 5 awards. This book is lifeless. I didn’t like it at all. We have a book club where we read a new book every week. Do you want to join? I recommend this one to you. but,I don’t know if you have an enough time to read. If you have a chance,please read. THANKS for this post, Yvonne! So far it´s has been one of my favourite ones. Guess why? Well, I´m a bookworm….Love reading. I haven´t stopped reading since I first learnt. The last book I´ve read was “The Road”, by Cormac McCarthy. It´s a page-turner. I couldn’t put the book down. I had to read it to the end and finished at 4 a.m. (I had to take loads of coffee the next day!). But it was worthy! 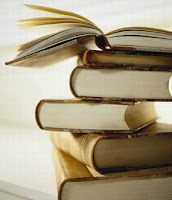 I´ve also enjoyed “Angela´s Ashes” by Frank McCourt and “Blindness” by Jose Saramago. There are many many more books I love….the list is endless!!! What are your favourite books/authors? So, odd. I replied to this as soon as you posted it, but I don’t see my comment anywhere at all? I’ll reply again. I will add that to my reading list. I love to read different types of books. I have never read any book from a Japanese author. I look forward to it. I hope I can find it at the local library. Thanks so much for your recommendation! I’m a huge bookworm too. I love that word, BTW. Lately, I’ve been reading more fluff. I like to call them “candy for the brain.” Twilight for example. It was an easy read and fun too. My friends often give me books they read, so I read whatever I get. I’d say my favorite type of books are historical fiction. Do you read those? Thanks so much for your comment! Yes, I like to read different types of books, historical fiction included. I liked “The Cathedral of the Sea”, “The Boy in the Striped Pajamas The Boy in the Striped Pajamas” by John Boyne, “The Good Earth” and “East Wind:West Wind ” by Pearl S. Buck, “The Shadow of the Wind” by Carlos Ruiz Zafón, “The house of the spirits” by Isabel Allende…. OMG! The list is endless! I worked in a bookstore for 3 years and was the happiest person on Earth! BTW, here in Spain, we say someone is a “library´s mouse” instead of “bookworm”. I love the expression – “library’s mouse” makes sense! Do you read these in English or in Spanish? Oh God! I cry a lot with some books! “Just like heaven” made me cry. I read in both Spanish and English. I´ve got a degree in Translation and love both languages! Wow, you have a degree in translation. That is pretty impressive! That makes sense, because your English is always so good! LOL! 🙂 Blushing is good!